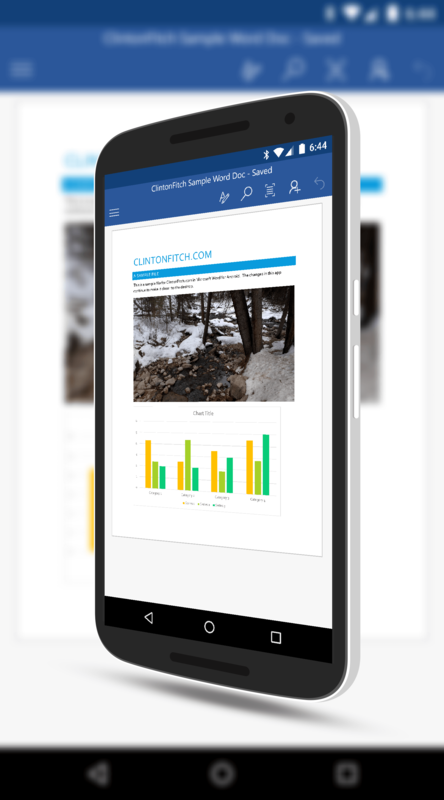 In Microsoft Excel and Word, you also can now insert a photo directly from your Camera app. This new feature allows you to open your camera directly from within Excel or Word, snap the photo, and it is automatically inserted into your spreadsheet or document. You can then, like any other photo that you have inserted, resize and manipulate the photo. The updates to the Office apps are all a part of the continued effort by Microsoft to close the gap between features on the desktop and the mobile device. Make no mistake, there is still a gap, but it is closing rapidly when you consider where these apps were just a year ago. Back then, they are little more than a file reader and simple editor. If you have the Microsoft Office apps installed on your phone or tablet, the updates should be coming to you over the course of the next few days via an OTA update. If you don’t have them installed, you can find them in the Google Play Store and they are free to download (although some features require an Office 365 subscription).